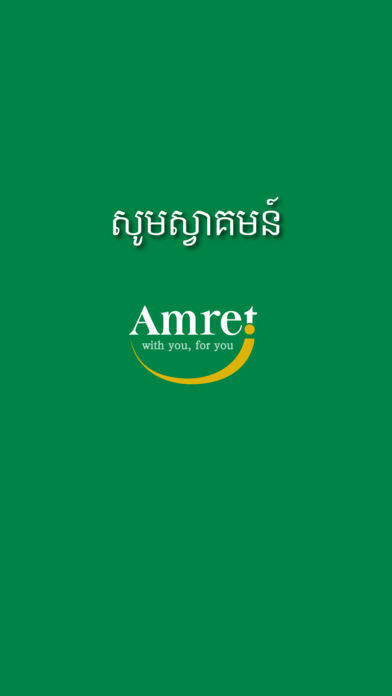 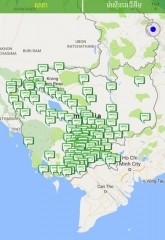 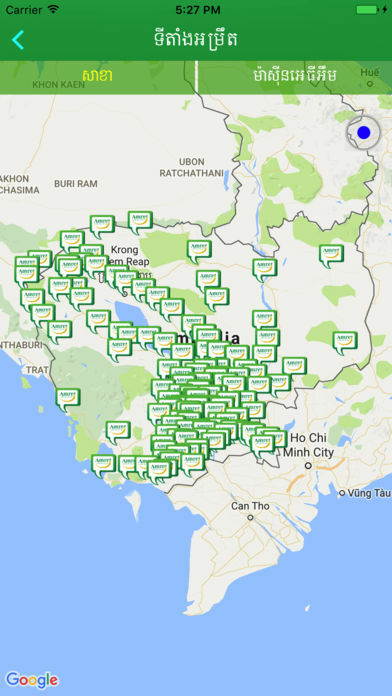 The Amret Partnership Application has been created to help clients and Amret staff readily locates and contact Amret branches and Amret partners across Cambodia. 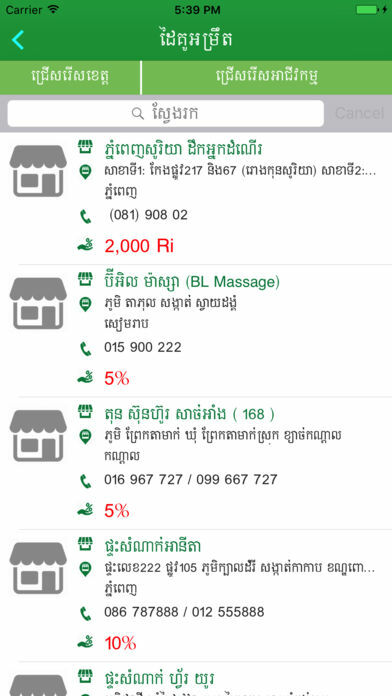 The information this new app provides enables clients and staff to avail themselves of discounts and special services offered at clothes shops, restaurants, hotels, guest houses, hospitals, clinics, sport clubs, international schools, universities, gasoline stations, transport providers and various shops. 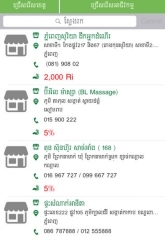 In order to get discounts and special services, clients must show their Amret VIP card and staff must show their Amret ID card or Amret VIP card. 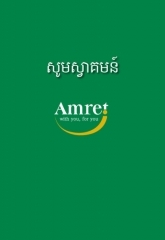 Amret is a leading micro-finance institution in Cambodia with strong support and belief from national and international institutions and its clients. 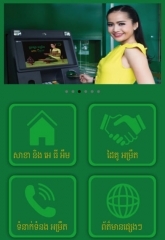 In responding to the demand of various micro-finance services, Amret has developed many kinds of financial products and service, especially small scale loan for people in the rural areas and medium scale loan for small and medium enterprises. 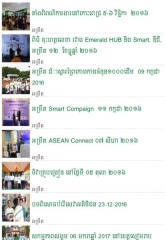 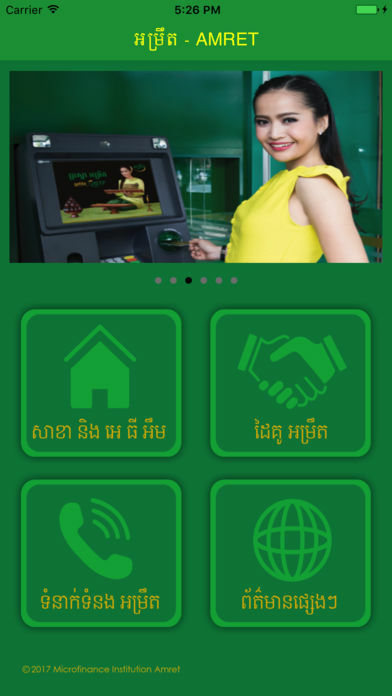 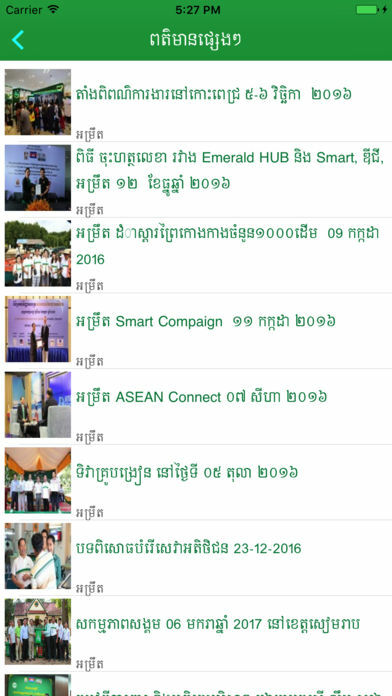 Moreover, Amret has developed other product and services such as: Deposit products and Inter Branch Money Transfer (Local Money Transfer) product in order to meet the need of people in cities and rural areas as well as provinces and capital of Cambodia.